"C'era una volta" is a B&B immersed in the green hills of Terracina, infront of the Mediterranean Sea, and therefor a perfect starting point to visit Rome and Naples because Terracina is a city between the 2 cities (1 hour by car or train). The construction, conformation and material used (brick tiles and stone), is the typical farmer house. Because of our respect for our surrounding nature is important. Bed & Breakfast C'era Una Volta is placed on a hill in Terracina,10 minutes by car far from the sea side. 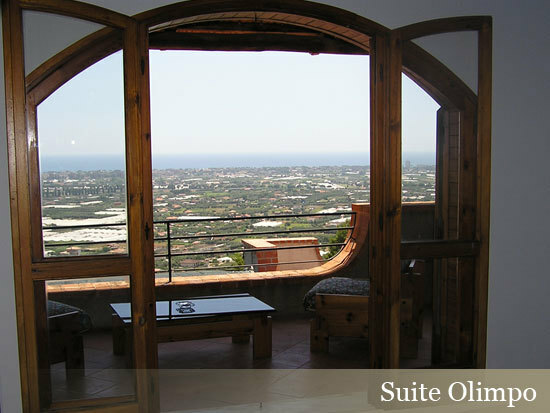 It has got a panoramic view on the gulf and develops onto 2 levels with 10.000sq.m garden. 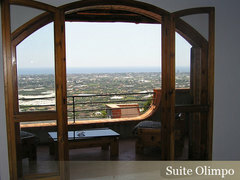 Bed & Breakfast C'era Una Volta consists in 2 double bedrooms with private bathroom and fireplace. One of the bedroom is based on 2 levels: on the ground floor you will find a bunk bed and in the upper level 1 double bed, bathroom and panoramic terrace. Bed & Breakfast C'era Una Volta is the right place to spend your summer holiday and your romantic moments all the year round. there is a park near our B&B where the peolple can go to view a great landscape of Terracina and "Agro Pontino"
Check In/Check Out : Check in at 1.00 p.m. Check out at 11.45 a.m.
From Rome (100 km) take national road SS 148 direction Latina and then Terracina.